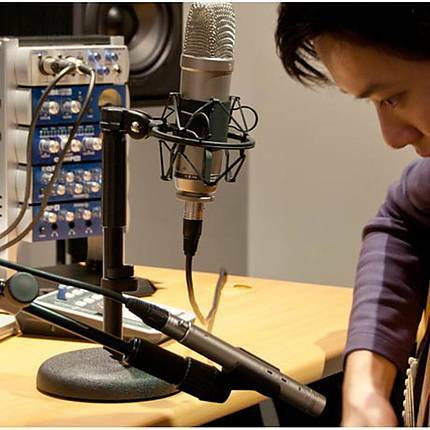 The Rode DS-1 Microphone desk stand is a table top desk stand for your RDE microphones. The DS1 gives you the ability to mount your microphone on a desktop for interview, dictation and other related uses. The distance of an object from top to bottom.